-This building is just along from St Martin-le-Grand off Coney Street and before the Mansion House. 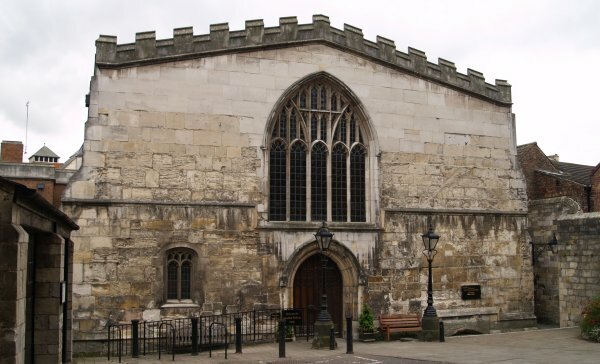 It is the part of the 14th century medieval Guildhall that only just escaped complete destruction in the air raid of 1942! Down by the left side of the Mansion House is the part of the medieval Guildhall. 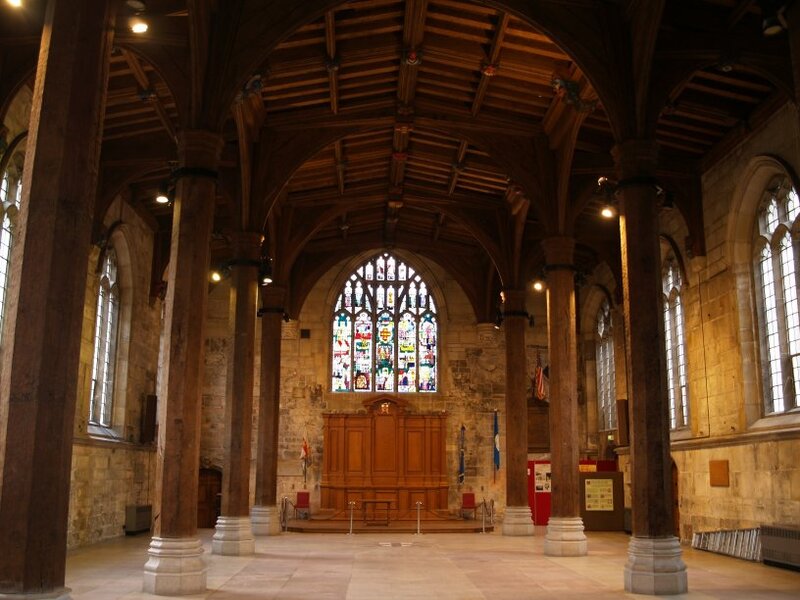 It is the part of the 14th century medieval Guildhall that escaped complete destruction in the air raid of 1942. There has been a Guildhall on this site since 1378 but the building above dates from 1446. The hall was first used for Pageants and Mystery Plays. 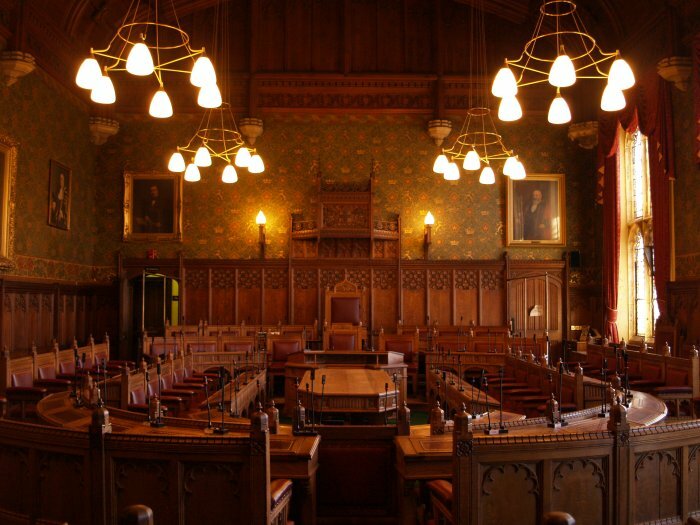 In the buildings on the right of the surviving Guildhall is the modern day council chamber of the York City Council. 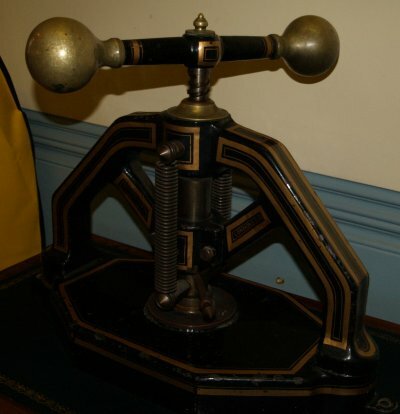 The seal press for the City of York. The beautifully restored 15th century medieval guildhall (~1446)with its modern octagonal pillars supporting oak roof beams. 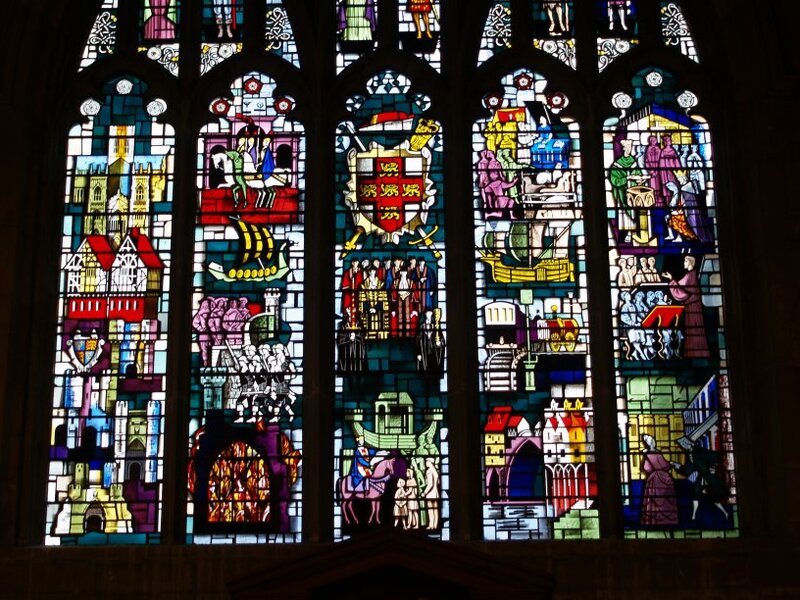 At the end is the very fine modern stained glass window by Harry Harvey depicting the long and colourful history of York. 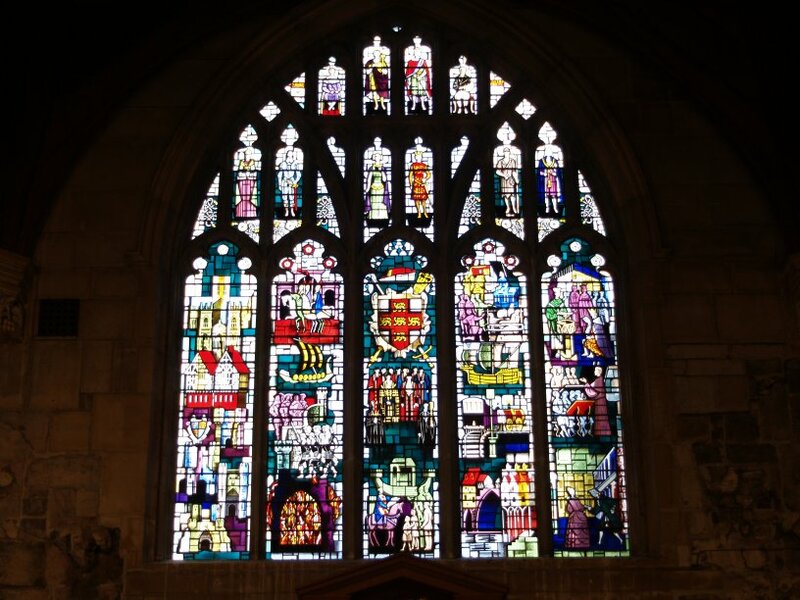 The complete window showing the restored medieval tracery. Detail of the upper half of the window. 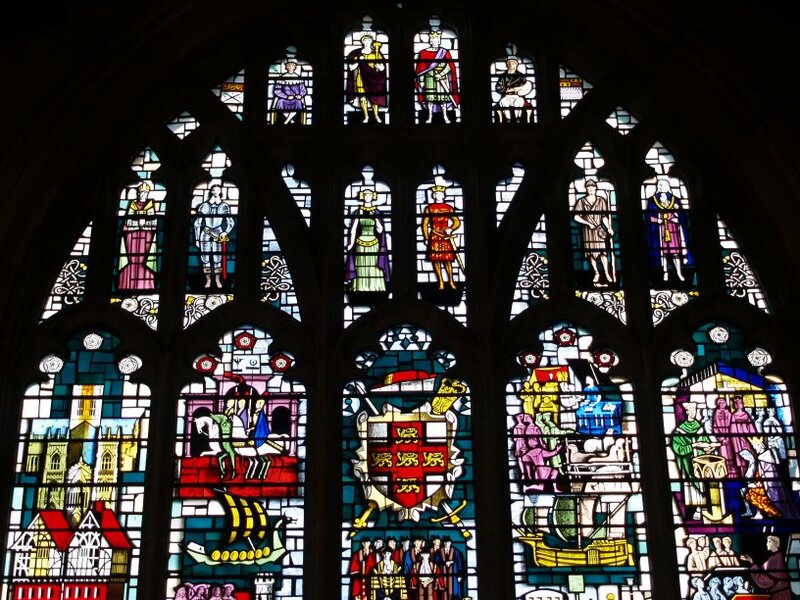 Detail of the lower half of the window.